Most companies find it hard to comprehend ideal audience through conventional social networking platforms, such as Facebook, Twitter, and Google+. Nevertheless, you can certainly find your target audience by making use of niche networking sites. One of the best ways of finding the most perfect niche social networking site is through Google search. In this article, we give you a gist of niche social networks. Do you own a business providing services and products for environmental sustainability? Wiser is a leading social networking site that encourages people to promote all kinds of services and products associated meant for environmental sustainability. Wiser is an ideal platform for creating partnerships, promoting events, and sharing resources for environmental sustainability. Goodreads and LibraryThing are the niche sites for networking among people working in the publishing industry. Most publishers, literary scholars, and authors network through these niche sites. Here, you can easily upload books along with their covers. Moreover, you can easily upload numerous books together through .CSV files. The books are identified through their ISDN numbers. LibraryThing is the most coveted niche network for e-books. Kaboodle is the ideal niche site for networking among people in the fashion industry. Here, you can create style boards displaying numerous clothing items and accessories. Thus, it is an ideal choice for people involved in the business of fashion retail. You can easily create a blog magazine to promote your business through this site. Are you working for the food and catering industry? Different kinds of food recipes and drinks can be uploaded through this site. Allrecipes would help you to grow your target audience. There are various kinds of promotional activities that you can try through this niche site: create shopping lists, plan any particular menu, and answer questions pertaining to your recipes. Allrecipes also has an account on YouTube Channel. The nutritional information of every recipe can also be accessed through this site. Are you a creative person involved in advertising, music, dance, food, and web design? Behance is the leading network for networking with creative people from all spheres of life. Here, you get a glimpse of creative people from every walk of life. Behance can be used for exhibiting your work or for networking with creative people of similar interests. 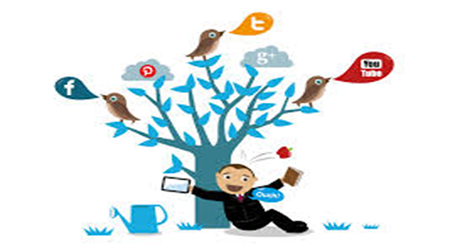 How to Build an Effective Marketing Strategy with Social Media Marketing? Why Should You Take An Offline Class In SEO, Google Adwords And Social Media?